I’ve recently reinstalled or updated most of my currently used applications. During the process, I’ve lost several hours messing around with Python versions and architecture models, « thanks » to cryptic error messages, and incompatibilities. Here’s a short summary of issues and solutions, so you won’t spend useless time finding what’s wrong ! If you don’t want to read all this, just in short, install both 32bit builds of Python 2.7 and Python 3.3, and NOT the 64bit builds or Python 3.4. This development environment is great for professionnals, but also to learn using Python, as it provides lots of features such as dynamic help and completion (much better than any alternative I’ve found yet), a debugger, interactive shell and much more. I had the opportunity to buy a license a few years ago at a really good discounted price, and was happy with it. As I don’t program daily, I didn’t want to afford the upgrade to version 5. Issue : The interactive shell kept crashing since I reinstalled the latest version of Python. Reason : Wing IDE 4 doesn’t support Python 3.4. It supports Python 2.7 and 3.3 (both 32 and 64 bits). Solution: If you don’t want to upgrade to WingIDE v5, keep an installation of Python 3.3 and point to it. This neat forensics/malware analysis tool needs Python at its core. Which means most features cannot execute if there is an issue with Python. Unfortunately, the error messages were very sober, and I had to discuss with the author to get a clue ! Issue : The « output » window says there is an issue with Python, and most features aren’t working. Reason : It only supports Python 3.x, *and* it only supports 32bit Python. Solution : Keep a 32 bit Python 3.4 installation and point to its python3.dll. 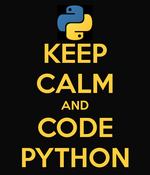 This great software now also often relies on Python. But recently it kept displaying popup boxes at startup and during execution about Python loading issues. I went to Hex-Rays user’s forum to search for help, and finally figured it out myself. Issue : popup about issues with Python at startup and during execution ; most plugins crash. Reason : It doesn’t support 64bit Python, and only support Python 2.7. Solution : Keep a 32 bit Python 2.7 installation. That’s quite messy ! And I haven’t tested other Python-dependent applications such as Volatility… Happy times.